10. Where can I find sellers ready to deal? This big real estate site lets you zero in on homes whose sellers have cut prices recently -- an indication they may be ready to jump at your offer -- and instantly tells you how far they've come down. 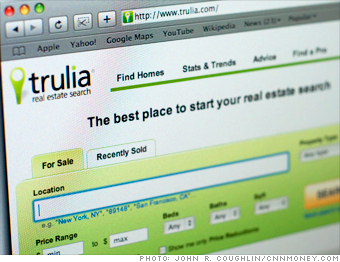 A host of such well-designed tools distinguishes Trulia from worthy competitors Zillow.com and Realtor.com. (No harm checking them all, though; their lists overlap but aren't identical.) Another great Trulia tool: Heat Maps, which display average list and sale prices within zip codes. Coolest feature: Snapshot.Trulia.com puts a neat visual twist on the usual listings. Move a slider to select homes by price or their time on the market; their photos pop up on a map. It's a bit hypnotic, actually. Try this too: Forsalebyowner.com for listings that big sites won't have. NEXT: 11. Should I hire a contractor?